The New York Attorney General’s Office is aiming to shut down a charity it claims was nothing more than a one-man operation run out of the basement of his home in a residential section of Brooklyn, N.Y., that raised almost $10 million during the past several years. 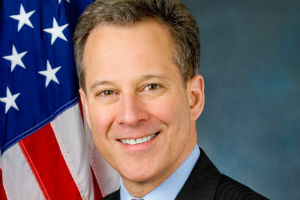 Attorney General Eric Schneiderman this morning announced a petition filing in Kings County Supreme Court that seeks to recover $9.7 million through alleged fraudulent representations by the NCLF, its founder, its president, its vice president, who is the founder’s son, and its auditor. The Attorney General’s Office claims via the petition that the charity’s staff repeatedly lied about its programs and falsified audit reports and other regulatory filings with the state. Founder Zvi Shor, 64, was president until May 2010 after reports surfaced about a 1999 conviction for felony bank fraud, at which time Yehunda Gutwein, 58, a certified public accountant, was appointed president. Telephone numbers found for the charity were disconnected as of Tuesday morning and its website – www.leukemiafoundation.org — was not operational. Shor’s son, Shlomo Shor, 43, also of Brooklyn, stepped in as a director and vice president but did nothing other than sign checks and forms, as he was ordered to do so by his father, according to the Attorney General’s Office. Investigators also found that an accountant hired by NCLF, Shlomo Donn, 35, of Lakewood, N.J., signed audit reports that were filed with the AG office’s Charities Bureau but did not in fact conduct any audits. Filing false audit reports when no audits were conducted. Of the $9.7 million raised between 2009 and 2013, $8.9 million was solicited by professional fundraisers who were paid $7.5 million, or 83 percent of the funds raised. NCLF spent less than 1 percent of its income on direct cash assistance to patients and transferred another 5 percent to a shell organization in Israel run by Shor’s sister, allegedly for research purposes, according to the attorney general. The Charities Bureau revoked NCLF’s state registration in January as the investigation developed. The NCLF gets a 1-star rating from Charity Navigator, likely due to primary revenue growth declining in recent years. Total revenue peaked in 2010 at $4.3 million, with assets eclipsed $1 million, and has declined each year since, falling to $468,645 last year with net assets of $300,833. In 2010, Shor was compensated $123,381 and last year was compensated $212,624, according to NCLF’s Internal Revenue Service (IRS) Form 990. Gutwein was compensated $11,500 last year. The charity’s tax forms indicate that the largest expenses among its $4.1 million expenses in 2010 were $1.85 million for “public awareness and education” and $1.5 million in professional fundraising services. Associated Community Services (ACS) in Southfield, Mich., was paid $1.3 million that year for “solicitation” while the charity received $260,443, according to its tax forms while Insight Fundraising in Champlain, N.Y. was paid $799,005 and Atlanta-based Jak Productions was paid $176,889 for the same. Gross receipts totaled more than $4 million in 2010, with $3.4 million going to the three vendors and the charity getting $627,916, or less than 16 percent. Both Jak and ACS previously have been fined by charity regulators in other states, according to “America’s Worst Charities,” a collaboration last year between the Tampa Bay Times and the Center for Investigative Reporting.